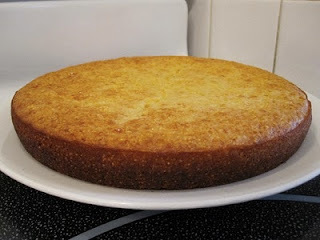 Cornbread, since I've started baking, has been my biggest venture. I know right, cornbread? It's so simple, it's so easy why such a big deal? True, it is simple and it is easy, but I couldn't find a recipe that was exactly what I wanted. This meant I needed to experiment. Four weeks and eight attempts later, I finally have it, for now :). So what kicked off a month of cornbread? The initial seeds were planted a little before Christmas when my father and I went to visit my grandparents for lunch. I had never known my grandmother to make cornbread (maybe I'm wrong) but on this occasion, served alongside her out-of-this-world-no-words-can-describe-amazingly-light-pillowy gnocchi, was a fresh batch of cornbread. I was in heaven, I love cornbread. My grandmother's version is more bread like than the polenta-corncake-esque ones I am familiar with. She achieves this with a 1:1 ratio of cornmeal to flour and yeast to leaven. For my own recipe I wanted something a little more traditionally southern in texture (I think?). To achieve this I used a 2:1 ratio of cornmeal to flour, but that's where tradition ends. Taking inspiration from my grandmother I chose yellow cornmeal and extra virgin olive oil as my flavouring fat. Making it more “yankee,” I also added a tablespoon of honey, which is not enough to make the bread sweet, but enough to round out the flavour. Now it is my understanding that in parts of the south adding any sugars to cornbread may lead to a visit from an angry pitchfork mob, but I'm not in the south, and I suppose this could be an exaggeration :). As for the use of a skillet? Preheating the pan to over 400F seemed like a good way to burn myself. A normal/sane person is likely not worry about this, but I doubt very much that in my brief blog history I have managed to convince you that I am either normal or sane. I resisted the urge to bake cornbread until a few weeks ago when an inescapable, unwieldy, unyielding craving for warm cornbread and jam completely took over, compelling me to proceed. After some research, frustration, more research, and more frustration, and then some math, I preheated the oven, my own recipe in hand. For some reason I got it into my head that I should use a loaf pan. I think I imagined a cornbread taller in stature. My choice of pan combined with my recipe voltronned into a loaf pan too small and a batter too loose, although I wasn't aware of this at the time. As I removed the cornbread from the oven, I was a little concerned because it did not rise evenly. The centre was completely concave. After a short but necessary cooling time I flipped the pan to release the bread but it would not come free. I gave it increasingly harder knocks until I heard the loaf fall onto my cooling rack. I got excited... and then I looked. In the pan was a giant, rectangular, cornbread doughnut while the doughnut hole laid in pieces on my stove top (I had some good pictures but they were lost in the great hard drive crash of 2011). I scarped it all out of the pan and took a taste test. No doubt I was on the right track, but it was obvious that something was wrong (duh). I determined the problem to be both the size of pan and the amount of liquid. After a few more attempts with a larger loaf pan, different ingredient ratios and oven temperatures, the bread still wouldn't rise evenly. I then increased the baking soda and switched to real buttermilk instead of milk and vinegar. Success! It finally rose (I'm quite certain that the solution was the baking soda not the buttermilk). 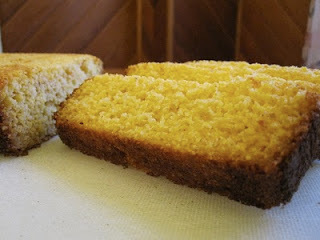 After tasting I still felt something was not quite right, the cornbread fell apart to easily. Then last Saturday I used the ingredient ratio I thought produced the best flavour and moved to a 9 inch round cake pan. Half way through the bake I took a peak into the oven and instantly knew I had a winner. I guess it only works if you're LeVar Burton :). Preheat oven to 400F and grease well a 9” round cake pan. In a medium bowl add cornmeal, flour, baking soda, baking powder, and salt and whisk to combine. In a large bowl add buttermilk, egg, oil, and honey, and whisk until completely combined. Remove from oven and allow to cool in pan on rack for 15 minutes before removing and cooling on rack until serving temperature. 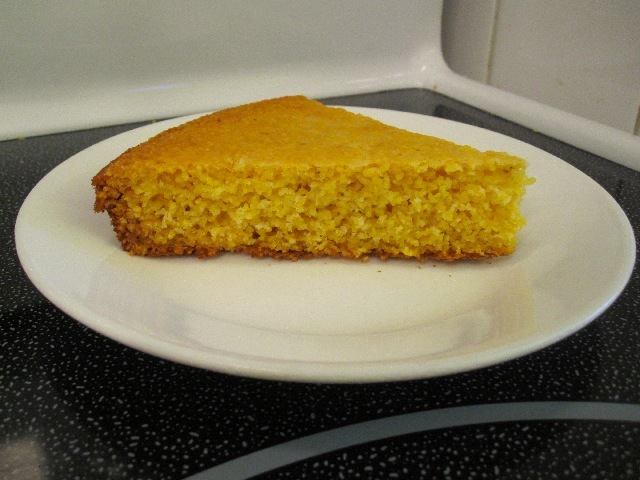 I love cornbread and have been searching for the perfect recipe! Too bad the first one you tried out didn't work, the second one sounds really good though. Have you read the book Ratio? Seems like it would interest you. This cornbread is perfect for me (maybe for you?). I had relatively specific requirements which is why I had to make my own. But if you try it out I hope you enjoy it as much as I and my family do :). And I looked up the book today, I think I'm going to order it, sounds fascinating. Thanks for the recommendation! :). P.S. Images 1 and 3 are recipe version number 8 (final), image 2 is recipe version 7.